Quite a few Catalan Jews played major roles in medieval science, literature and philosophy. The large panel presiding over the room is a tribute to these illustrious personalities. Among these, Mossé ben Nahman, or Nachmanides, the "Master of Girona", stands out. This most important figure of Girona's Jewish community in the Middles Ages has his own reserved space in the exhibition, highlighting the quality and reputation of his work, as well as the trajectory of his life from Girona to the Land of Israel. 13th century, Catalonia. Reproduction (original held in the Israel Museum). 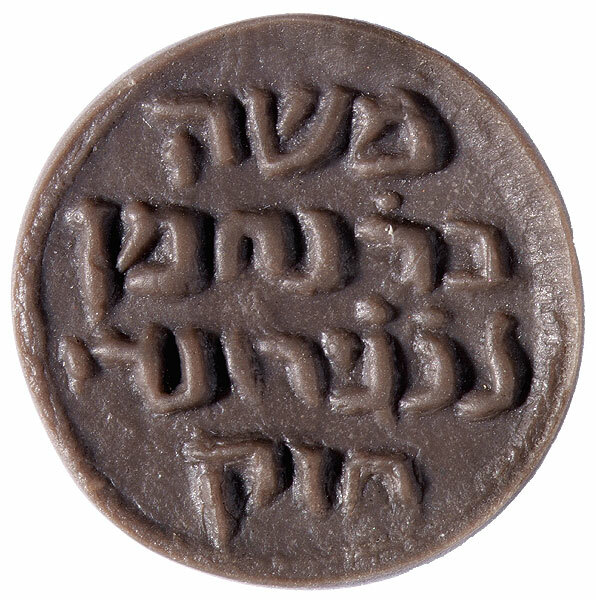 In the course of archaeological digs near Acre (Israel) in 1970, a bronze seal was found. The most important figure in Jewish society in Girona, Mossé ben Nahman, also known as Nahmanides or Bonastruc ça Porta, used it to sign his letters and documents with. The seal bears the Hebrew inscription: "Moses, son of Rabbi Nahman, from Girona, have courage!". Ink on paper, leather binding. 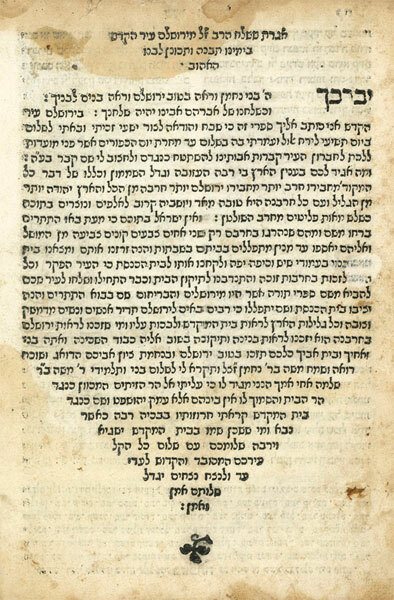 Venice, 1595 (donated by Rabbi M. Sérels). The work known as Torat ha-Adam (The Law of Man) is among the most representative of the writings of Mossé ben Nahman. In it the great Jewish philosopher of Girona establishes a code of morality and behaviour for the rituals of death and mourning. This volume is a first edition in Hebrew produced in Venice three hundred years after the author's death.